Find a Basement Systems Dealer Near You! Transform your basement, raise the value of your home and gain more useable space! 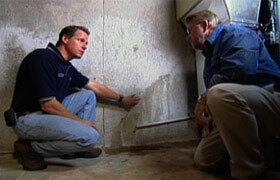 Learn more about a leaky wet basement. Crawl space waterproofing & moisture control. Finding a responsible and trustworthy contractor is challenging, but you'll find that Basement Systems dealers adhere to simple guidelines of respect, integrity, and responsibility. Showing up on time for appointments, performing the work that we contract to do, and standing behind our warranty helps homeowners trust that we will be there when you need us. Homeowners should expect this, and we, as contractors need to earn your business. Our basement contractors serve all of Canada including the provinces of Ontario, Quebec, British Columbia, Alberta, Manitoba, Saskatchewan, Nova Scotia, New Brunswick, Newfoundland and Prince Edward Island. Our innovative and forward-thinking approach to designing products has solved wet basement problems that the basement waterproofing and crawl space industry has faced for decades, and our patented sump pump systems are the smartest and most reliable. Plus we listen to our customers and respond accordingly! Basement Systems Inc. has been awarded 24 Patents and 19 Innovation Prizes on waterproofing products we use every day, including a battery back up sump pump system. This approach ensures the best waterproofing systems and solutions available. You've definitely come to the right place to fix your wet basement! We work hard every day to change the way people feel about contractors - give us a call to discover why more people use and refer certified, licensed Basement Systems contractors to solve their leaky basement and crawl space moisture problems! Basement Systems recruits only the best contractors for leaking basement repairs. This multinational network has the advantage to draw upon the collective expertise of the contractors in the network. Besides being the best basement waterproofers, some are experts in foundation repair, some in crawl spaces, mold, insulation, air quality, etc., and this information is shared through the network. So if you choose a Basement Systems dealer to do your work, you are working with a local contractor, and getting the collective knowledge and experience of the entire network. From Toronto to Calgary to Vancouver to New Brunswick to Hamilton and all across Canada, our extensive network ensures you quality service behind the warranty, now and far into the future! 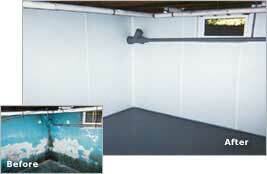 Learn more about basement waterproofing in Calgary, Alberta.